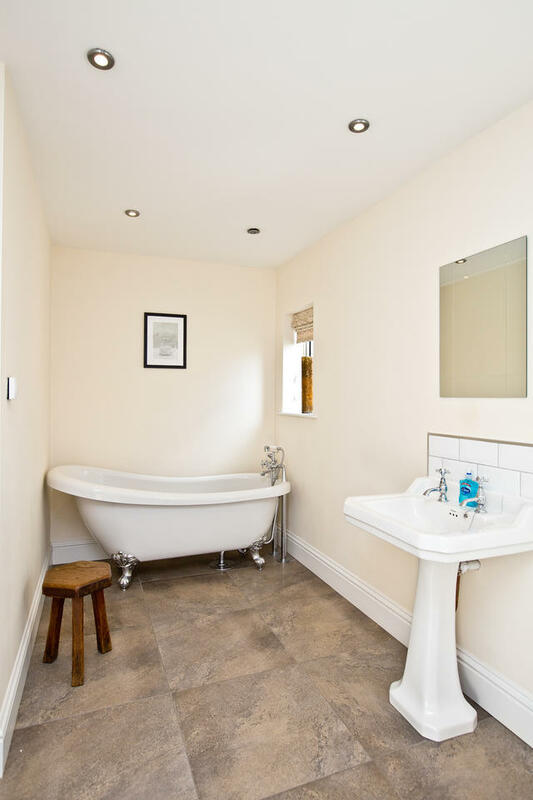 Large, luxury, boutique style self-catering Victorian Residence, situated at the top of Monsal Head, overlooking the famous Monsal Dale views. 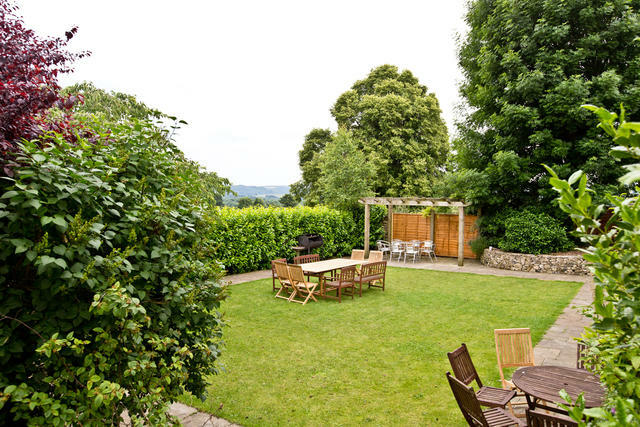 Set in the heart of England and it's beautiful countryside, perfect for large groups, sleeping from 20 - 32 people. High ceilings, chandeliers in the dining room and endless space Cliff House is a fabulous boutique Victorian residence ideal for hosting self catering large social gathering in luxury surroundings. 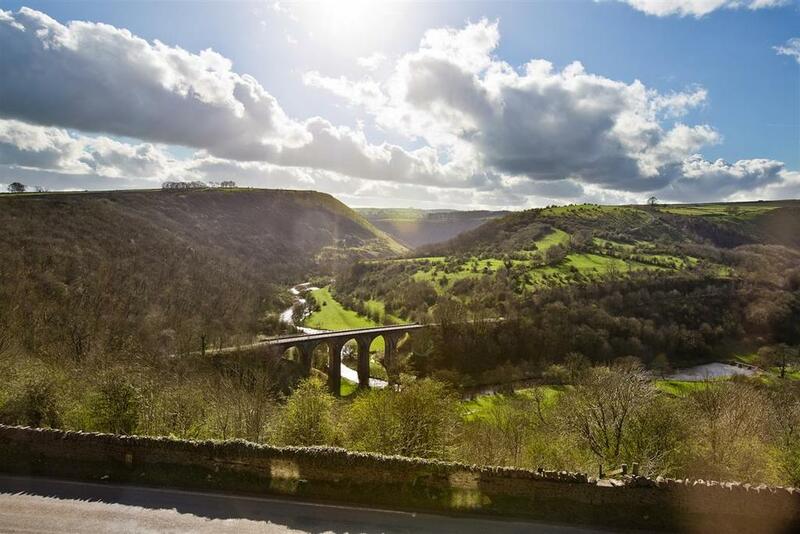 Situated prominently at the top of the headland overlooking Monsal Dale, Cliff House has one of the best unrivalled positions in The Peak District. 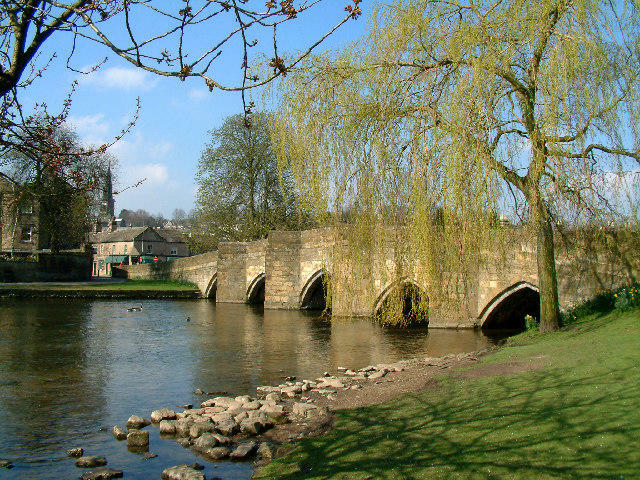 Nearby to Bakewell, Chatsworth, Ashford in the Water and Buxton and walking distance to several wonderful country inns. This magnificent Victorian residence has been refurbished to a high standard with a mix of traditional features and contemporary style. With the accommodation spread over three storeys to provide a deceptively spacious and stylish home. The copious corridors and landings may confuse adults but children find them exciting to explore! Most bedrooms are on the large side with luxurious en-suites to complement and can offer total flexibility with the ability to be set up as doubles or twins depending on your needs. There are ten bedrooms in the main house and directly next door on site is a further three bedrooms. The extremely spacious dining room is both beautiful yet functional with large bay windows to one end providing a light and airy feel. The decor of Victorian style panelled walls with traditional oak floors and the chandeliers give the room a grand charm. You can dine and seat up to 30 guests for dinner with additional tables provided upon request. Cliff House has a huge, fabulously designed bespoke farmhouse kitchen. Finished to the highest spec with under floor heating to take the chill away in the morning, Quartz worktops and breakfast bar, double induction Stoves Range Cooker, large American style fridge with freezer drawer, pantry and everything else you may need to cater for a large group of people. At the far end of the kitchen is a further dining area, perfect for lazy breakfasts and late suppers. You enter the property in style via a large entrance hall with original Minton floor tiles and a sweeping stair case. To your left double doors open into the vast dining room and on the right is a gorgeous, sumptuous lounge decorated with luxury wallpaper and with the warmth of under floor heating. It houses deep comfy velvet sofas making this a wonderful place to spend a relaxing evening. Also on the ground floor is a coat and boot room to hang and store all your outdoor gear and muddy boots. This also doubles as a drinks and glassware store with extra wine fridge in case you are planning a tipple or two whilst on your stay. 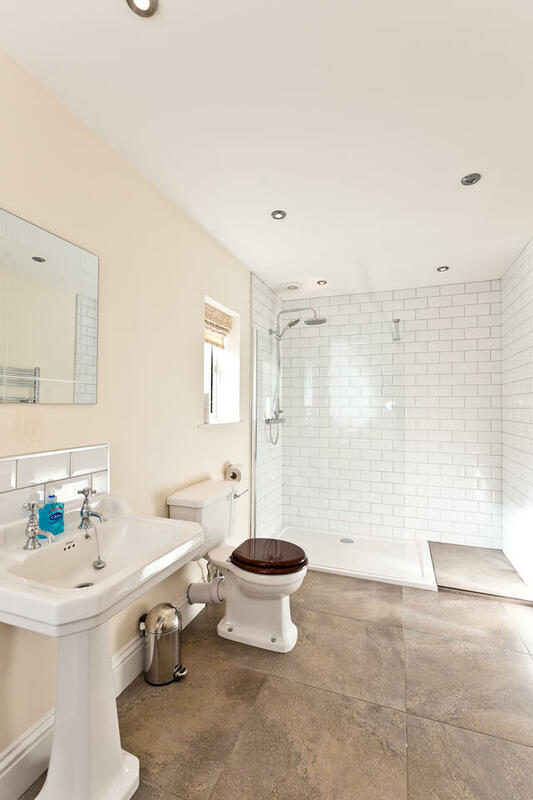 Next to the cloakroom and just off the kitchen is a downstairs WC with under floor heating. Please click here for the floorplans. 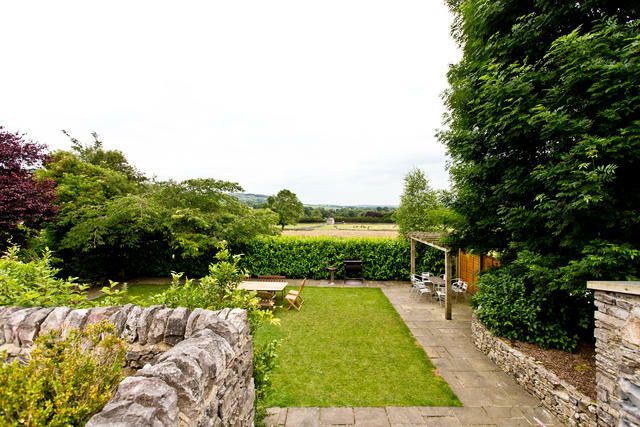 Steps lead down to a sunken landscaped private garden with lawn and patio area which enjoys far reaching views of Longstone Edge. Clever landscaping protects the garden from breezes and a pergola welcomes drinks on the lawn or just enjoying some fresh country air. There are two alternative seating areas and a plenty of parking for around 10-12 cars (roadside parking nearby if more required). Drum style BBQ available for al fresco dining available for use from 01st April through to 31st October - please supply your own charcoal and lighting equipment. 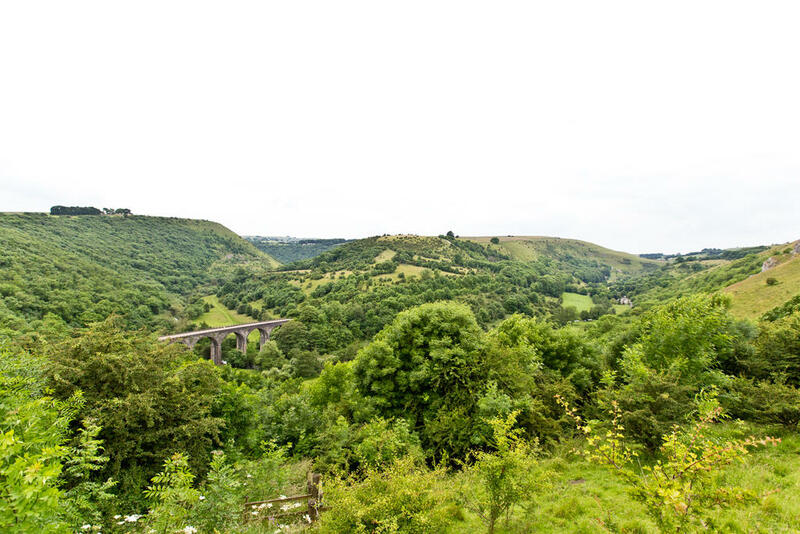 You are literally a stones throw away from The Monsal Trail which can take you all the way off road by foot or bicycle to Bakewell or Buxton. Alternatively, off the beaten path down into Monsal Dale and head off on foot in whatever direction takes your fancy with access to the most incredible walks and dramatic landscape the Peak District has to offer right from your door step. Cliff House has an enviable location when it comes to being within walking distance from not just one but a selection of really good, heart-warming traditional pubs. This includes the local's favourite The Pack Horse in Little Longstone (5 minutes walk! ), The White Lion in Great Longstone, and the Bulls Head in Ashford In The Water. Less than a minutes walk away, you will find The Monsal Head Hotel with the traditional Stable Bar and fantastic outside seating area looking north westerly down into Monsal Dale. 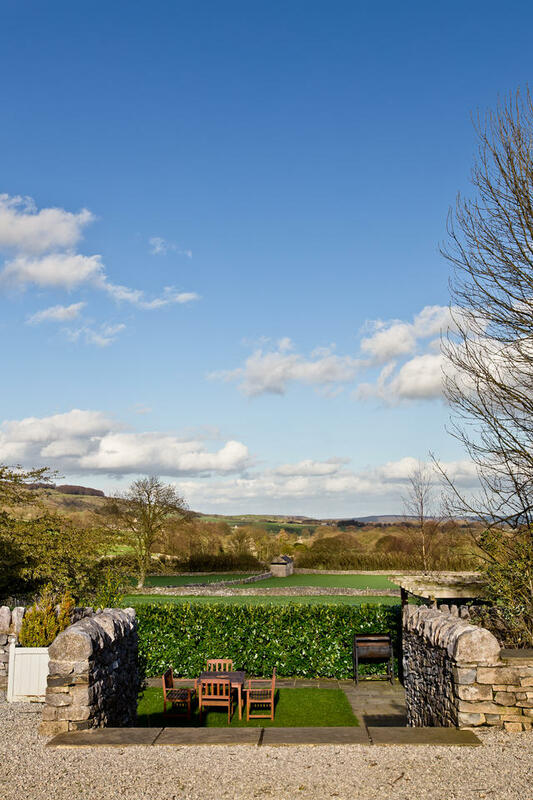 A short drive away are the most amazing of Peak District treats for you to enjoy - Bakewell (5 minutes), Chatsworth House (10 minutes), Haddon Hall (10 minutes), historic spa town of Buxton (15 minutes) to name just a few. You have arrived at Cliff House! The following comments are taken straight from the guestbook we keep for Cliff House. Verbatim. The check in went very smooth and the house was clean and the amount of crockery etc was fantastic. They layout of the house is perfect for families. The noise is very well maintained. Overall a great family stay. As always great customer service from the team. Thank you for adding valuable memories to our family holidays. We had a fantastic weekend and will recommend the house to our friends! We also had a great Sunday lunch at the Monsal Head hotel for 40 people. They were very accommodating and we were well looked after. We had a glorious time at Cliff House! I just wanted to say a massive thanks to you all for making our stay at Cliff House last week so easy to achieve. It is wonderfully refreshing nowadays to find a company who respond to emails quickly, answer all your questions and are as helpful as possible. Thank you for letting us visit the venue on three occasions before the week. It really helped with our planning and for patiently showing us around five other properties before we made our decision. Though once I saw Cliff House the decision was made. The house is superb and the views to die for. Can I also say a massive thanks to Joanne the housekeeper who was so very helpful on our visits. We feel that she is now a friend. You are a superb company. I have and will recommend you to anyone seeking a similar venue. Good luck for the future. Cliff House is our favourite Peak Venues house to date. Location is amazing. The decor is beautiful and was admired by all our party. We enjoyed a very large family gathering, the age group ranging from 2yrs to 79yrs and a multitude of inbetweenie ages. Without exception, a great time was had by all. The facilities enabled every age group to "do their thing". We were short of nothing, the premises were beautifully maintained, very clean and in no way lacking. I have no hesitation in recommending this venue to wide age range family groups. It was a wonderful stay and beautiful venue - everybody loved it! Our family group had a great weekend and the house was very comfortable and well equipped. We had some great walks and were lucky enough to have snow during our stay which was beautiful. We had wished we were staying all week! Just wanted to say that Cliff House is amazing! We had a fabulous time there, everything about the house is perfect and the attention to detail is second to none!! I have already recommended the house to my employer as a great corporate events place too. Thanks again for making the process of organising a hen weekend for 22 people so easy! Your info sheet was invaluable. We used Dandelion events (fab) and Gourmet Express (Emma is a fantastic Chef) and My Personal Sanctuary who I also definitely recommend. We really enjoyed our stay in Cliff House. Everything was very straightforward and well organised and the house was extremely comfortable for us. Thank you very much. We all had a wonderful weekend. The house and location were perfect and the information that you sent us prior to our arrival was spot on, thank you. Thanks guys, We all had a great weekend. We had a wonderful time at Cliff House. Everyone said it was the best weekend we have had. We have been doing these weekends all together for 32 years now so some accolade! Thankyou for having such lovely houses!!! We had a great time thanks! I have already recommended Peak Venues to several others! Thank you very much, we all had an amazing time at Cliff House. Thanks for your email and thanks too for the use of the Crewe and Harpur. There were 26 adults there over the weekend and, for all of them, the venue exceeded their expectations by some distance. Thanks again. I shall book another of your properties in the future. Thanks for your email- we had a lovely stay at Cliff House - and also would like to officially pass on my thanks to Jo [housekeeper] for all her help, and also other Jo who came on Friday to clean . Lovely ladies and a real asset to your business! I can't express enough what a wonderful time we had. The house was perfect for a small wedding and our guests could not believe how beautiful the views were. Jo the house keeper was so helpful and is an asset to your company. Thanks very much - we had a fantastic weekend. I just want to take this opportunity to thank you and your team for renting us Cliff House. The property was perfect for our purposes, and the house keeper Jo was a star and on hand for a couple of pool table related queries! We enjoyed our stay at Cliff House as usual, we had a great time and David Wakefield of the Dinner Party company supplied a superb dinner on Sunday. Thank you for this. We had a great time and the weather couldn't have been better. What's more we introduced 14 people to Derbyshire who hadn't visited before and they all loved it! Many thanks again for a great stay, we had a wonderful time again at Cliff House. We really enjoyed our stay at Cliff House. We have returned from a family party weekend, part birthday celebrations and part pre-Xmas get together and an amazing, happy, joyful and wonderful time it was. Cliff House was the perfect backdrop for the festivities, it was warm, spacious and very well equipped. Ages ranged from 10 to 80 years of age and we all felt at home and comfortable from the word go. Peak Venues were very helpful from the initial enquiries and very patient with my questions and doubts which were completely unnecessary. A great time was had by all !! We had a great time thank you. Please pass on our thanks to the housekeeper who was incredibly helpful - even picking up our birthday cake from the next village! Thank you also to your team who were very helpful. It really is a beautiful house in a stunning setting. Thank you for your email - we had a wonderful time at the weekend! I would also like to say how fantastic Judith and her team from Strand Fine Catering were - a big shout out for them when people ask for catering recommendations would be great - Judith stood out so much compared to the other companies I spoke to and the food and service were absolutely excellent. We had an absolutely amazing time thank you – the house was everything we expected and more. We had a fantastic weekend. The house is wonderful and all the rooms were perfect. It was great to have such a well stocked kitchen and you have thought of everything one could need to entertain a large group very comfortably. It was also lovely having many ensuites. We loved the house. It was our favourite yet out of the three we’ve stayed in. The location was just brilliant with the views and walks on the doorstep and it was laid out in a way that really worked for us. I don’t suppose you feel like branching out into the south do you? We love your houses but the drives are a killer! We had a thoroughly splendid time. We had the very best time at Cliff House, it made our weekend perfect. What a lovely house! It went beyond our expectations. Looking forward to staying with Peak Venues on our next trip. We had a great time at Cliff House - everything was excellent. We thoroughly enjoyed our weekend at Cliff House and Jo the housekeeper was a lovely welcome and farewell for our stay, wish we could have spent a week there! We had a fabulous weekend and would like to thank the team for making everything from booking to arrival run so smoothly. The house was beautiful and met all my expectations. Less rain would have been perfect, but thats a British summer for you! We thoroughly enjoyed our stay at Cliff House and, for most of us, our first visit to the glorious Peak District. Myself, and 25 other ladies, have just spent a wonderful weekend (3/5 June) at Cliff House for a Hen Party Weekend. I'm writing to say how much we enjoyed our stay - the house was beautiful and extremely comfortable. Everyone was very impressed. Lovely big rooms with excellent facilities. Very comfortable beds with beautifully soft, white bed linen - felt very luxurious! The huge kitchen had all the cutlery, crockery and equipment we needed, and more. We went into the garden to drink Prosecco on the Saturday evening and have a picnic on Sunday lunchtime. The stone steps down into the sunken garden may be a problem for some people, but we were fine. I cannot speak highly enough of this beautiful house - and the views are absolutely stunning! The house is ideally situated. Would love to return - fabulous! I shall never forget my daughter's Hen Weekend - and neither will she. Highly recommended! I would like to say we had a lovely time this weekend and were very pleased with the house and the surrounding area. Thank you, we had a great time at cliff house, it was very comfortable and well appointed and was enjoyed by all. By the end of our stay it really did feel like home. Thanks Cliff house was fantastic- we really enjoyed our weekend. It is a lovely house in a beautiful location. Our weekend at Cliff House was wonderful. The house is as beautiful (or even more so) as it looks on the website, every room well furnished and none too small or awkward. Out of our large group, everyone loved it. Also it was a practical house e.g. The kitchen is well stocked, there are good coat hooks etc. It was also nice to get the personal greeting from the housekeeper and to be given her number and reassurance that she was nearby. In the run up to the event all your mails were helpful, and every time we phoned the office we got friendly and helpful service. Also the details in things like the room plans really helped as well as the equipment list: for such big numbers it was good for those catering to really know they would be able to deliver the planned meals unlike in a cottage for less people you could more likely improvise if something was missing.Overall, we are really delighted. We had a great family get together in a beautiful house, that suited both those who wanted to chill out around the house as well as those who wanted outings. Delightful. Thanks to everybody for preparing the house for our stay. Everything was perfect. A huge thank you from all that stayed at Cliff House it was received extremely well. As we do this every year and this was our 10th year, what was noted was how organised the house was. Thank you again and we shall recommend you in the future. I have to say, we had the most amazing time this weekend at Cliff House – it utterly exceeded all expectations, it was an amazing venue, and the weekend could not have gone any better ! There was plenty of space so we didn’t feel like we were on top of each other, and the kitchen was large enough to accommodate everyone for breakfast – at no point did we feel cramped. The split of the living room, plus sofas in the dining room also worked very well – the boys were able to watch the rugby and the girls could sit and chat in separate rooms without cramping each others style !! And the location was amazing – the views were fabulous, and there is the pub up the road where we had tea on Sunday eve before going home, and also made use of the beer garden on Saturday afternoon in the glorious sunshine after our walk. We loved it ! I would like to think I will be back at some point. Thank you very much, we had a great stay with a wonderful wedding at Thornbridge Hall. We had an amazing weekend thank you for letting us stay, everything was perfect. Good morning, I just write to give some feedback about our stay at the Cliff House between the 13th of May and the 18th of May. Everything went well and everyone in the group really appreciated the place. The landlord was very friendly and helpful during our stay. The information you gave us about walking trips around the house and the activities available was also very helpful. In particular, we went to Go Karting and horse-riding (Tissington Trekking Centre). I also would like to acknowledge that we had food catered by Strand Fine Catering and they did a very good job. They were very friendly, punctual, organised, and the food was very good. Thank you very much for helping me regarding the accommodation and for providing a lot of information. I have already put my review on Trip Advsior (5 stars) loved the house and the surrounding area. The whole booking process has been so easy and it was a pleasure dealing with you, will definitely be using you again. Dear Justin and the team at Peak Venues, We had a brilliant weekend at Cliff House, and the venue was loved by everyone in my group. Thank you to all of your team for sorting the weekend out for us and making sure that the house was set up as we needed. It was a perfect venue.Thanks ever so much again. I just wanted to let you know we had an absolutely fantastic time in Cliff House last weekend. It is a beautiful house, totally fit for purpose. The kids loved running round it which meant the adults were free to be adulty! I would love to return at some point in the future. We'll have to find another occasion. I thought the communication and helpfulness from Peak Venues staff was excellent and very friendly. I would like to say on behalf of our company we had a wonderful time at Cliff House and would highly recommend it to all parties looking for a venue with high standards and great value for money. The location was amazing with such beautiful sites including the dairy cows next door. The house is very well setup for that number of people and everyone thoroughly enjoyed it. If the opportunity presents itself we would use Cliff House or another of your properties again. We also had the food from Scoff on Saturday night, it was fantastic. Thank you for all the information and details provided to me beforehand. We had a fabulous weekend at Cliff House thank you very much. What an amazing place and the most incredible views - we couldn't believe our luck! Sunday lunch at the Royal Oak was great as well. Many thanks also for your help retrieving my niece's teddy! This is the second time I have rented a house from Peak Venues and I wasn't disappointed. We were a group of 21 friends travelling from all parts of the country to celebrate my husband's 40th birthday. The accommodation perfectly suits big groups who want to cook, eat and socialise together. The house is beautifully and tastefully decorated feeling luxurious yet practical. The kitchen is kitted out to cook easily for 20 plus people and the dinning area allowed us to eat comfortably together. The house is located in a beautiful part of the country, well placed for walks, fantastic real ale pubs and pubs that serve a great Sunday lunch. It is a pleasure to book with Peak Venues, always efficiently responding to emails, responding to queries and offering useful advice. Their customer service goes above and beyond. I would not hesitate to book Thornbridge Manor or any house owned by Peak Venues again. IN fact this would be the first place I would go to to find a big house for a big group wanting to enjoy a weekend away. Firstly we would like to say thank-you, what a great weekend we spent at Cliff House, it was the perfect location for my 40th birthday celebration with our friends and all the kids. Everyone loved the house and we managed to at least start our mini-festival themed party with a bbq in the garden on Saturday night before the rain came down! The thing I love most about the house is the way it is so beautifully styled throughout, yet instantly relaxing as you walk through the door, it had this effect on everyone! We cant think of any suggestions for improvement for Cliff House, everything we needed was provided, my mum suggested a zip wire from the house to the viaduct would be handy, not sure how she'd get back up though? :-) We'll certainly be looking at your group of properties for future events and several of our party will be looking at options themselves am sure. It's opened up our eyes to the beauty of the Peak District and how close we are. Firstly let me say the family loved the house and its location. We tend to move round the country with our annual family holidays but we shall certainly keep you on the list for a revisit. The beds were great, everyone was telling us how comfortable they were. Loved the flexibility that the various rooms allowed. Bathrooms were a wow! Thanks for a great holiday and please thank the staff who looked after us both in arranging the booking and during our stay. We had a wonderful time at cliff house this weekend, and couldn't fault the property at all. We do a reunion weekend every year and everyone agreed this was our best one to date, so am sure we will be back. I have also passed the details to another friend who is looking to arrange a family weekend, so hopefully they'll come your way too. We had an absolutely fabulous time and all of the group have all said how fantastic the place was and what a lovely holiday it was. We may well be back next year some time! Your other larger property at Thornbridge looks great and we may enquire later in the year. We absolutely loved it, the kitchen is especially well equipped for a large group and we thoroughly enjoyed catering for ourselves. We had www.thedinnerpartycompany.com cater for us on the Saturday night and they were superb and very reasonable cost-wise. We spent a weekend at Cliff House for my sister's hen weekend. We were 20 girls who had planned a classy weekend away and Cliff House fitted the bill perfectly. Every part of the experience was fantastic, from making the initial enquiry, the helpfulness of the owners throughout the planning (every one of my silly questions were answered so efficiently) to the arrival, the stay and even the departure (when Justin helped us start our car). The house is amazing, so spacious and fully equipped for every eventuality (there were no waiting lines for bathrooms and we were able to make cocktails and a 3 course meal effortlessly). To top it all off, the location and views are fantastic. I would not hesitate to recommend Cliff House and will be booking one of their other houses in the autumn for my husbands 40th. Thank you so much for letting us stay at Cliff House, we all really enjoyed it and everyone congratulated me for finding such a lovely place to stay. I will try my best to find time to leave you a full review and I would love to return again in the future! Thank you SO much for letting us stay in your beautiful house! We loved it and my whole family are thinking of trying to come again later in the year. It is the nicest house ever - I will be writing a review of it on trip advisor for sure. The cottage was also beautiful and everyone wanted to stay longer. I am sorry that we did not get to meet in the end but I can say that we had a truly wonderful weekend. The house was stunning and had everything we needed. The snow, once we were all there safely gave us a magical setting and a lovely walk on the Saturday. Just to let you know Park Pantry and Gourmet Express were both superb in their help and food provided. Top recommendations thank you. Hey, we had a fabulous weekend, the house was excellent and the location brilliant. Thanks for making it possible. We are a group of 20 friends who have just returned from a fantastic weekend at Cliffhouse. I have never written a review before, but felt compelled to write, as the House was perfect, with its beautiful decor, fixtures and fittings and amazing views. 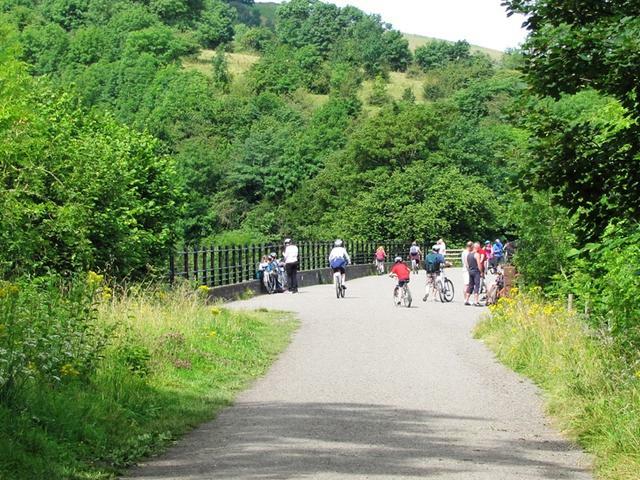 We enjoyed the Monsal Trail, and the refreshments afterwards, with great pubs within walking distance. We had a lovely meal in the White Lion, which I would highly recommend. Thanks to Justin for being really friendly and helpful with our arrangements. We have had several such gatherings in recent years, but all agreed this was the nicest so far. Our next gathering will have a lot to live up to!! Just to thank you for your part in the organisation of hiring Cliff House. We all had an amazing time, everyone was so thrilled with the location, the house, the amenities. We couldn't have chosen a more perfect location. We really enjoyed our visit to Cliff House and all our friends and family who visited also thought it was a great place. It was particularly helpful to be able to deliver our food and luggage on the Thursday afternoon before our stay on the Friday afternoon and to be able to let ourselves and family in on the Friday immediately following our wedding ceremony so thank you for the flexibility. Many thanks again for such a fantastic weekend and for your warm welcome to Cliff House. We all had such an amazing time, the place really made my 30th birthday that extra special and will be something I will remember for a long time. The place is absolutely gorgeous and I’ll definitely be recommending it too all my friends for weekend dates, Hen does or family gatherings. We had an absolutely brilliant time at Cliff House and everybody commented on how wonderful a property it is. It was the perfect place for a small-medium celebration/family get together and I would recommend it wholeheartedly to anybody looking for something similar. The high standard of the bathrooms/kitchen and the beautiful décor of all the rooms makes it somewhere really special to stay. In addition, each of you who I've had interaction with have been so helpful and we really couldn't have asked for anything more leading up to or during our stay. What an amazing weekend,we could have not have asked for anything more perfect! I just wanted to drop you a note to say thank you. We had a lovely time at the Cliff House. It was really beautiful and everything was perfect. We even got sunshine for our BBQ!!! We will definitely recommend you to our friends and colleagues and we are already looking at dates we can use your venues in the next few months. I just wanted to write to you to say thank you for letting us rent the house at the weekend. We had a fabulous time and made loads of new memories, ready to be relived at the wedding at the end of August! We had a wonderful stay at Cliff House. 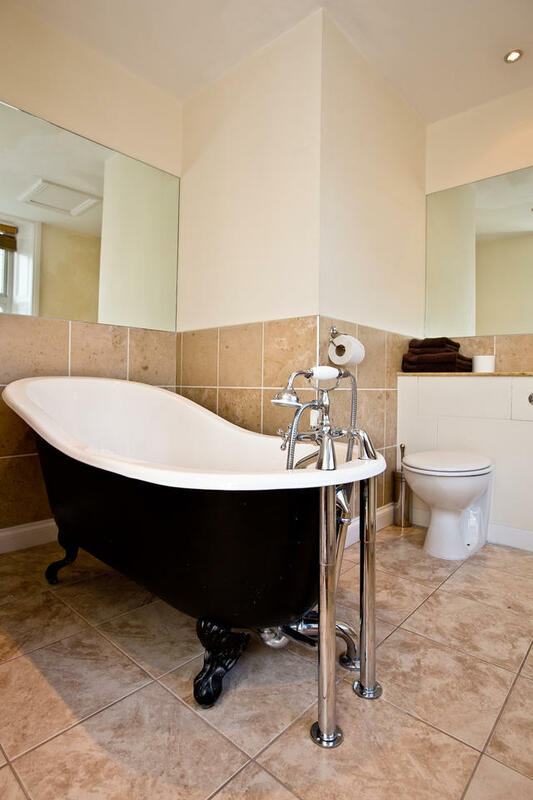 The house and surroundings were beautiful with a wonderful selection of kitchen equipment and luxurious bedrooms and bathrooms, more than sufficient to serve our large party of 28. I would gladly recommend the house to anyone. Thank you very much. The house was comfortable and spacious, well equipped and with good quality facilities, and we all thought it was a really good venue for a family gathering with such fantastic countryside, with a range of walks literally on our doorstep and a variety of venues in easy reach, including Edale and Buxton railway stations for public transport access. The views from the house are spectacular! We found Supermarket delivery on arrival was easily arranged, there is a local well stocked shop in Ashford which can be reached by foot paths or road, with Bakewell in easy reach for a wider range of shops.Great sized house and the views were incredible. Kitchen area particularly well designed for a large group of people, the bedrooms all very roomy and beds extremely comfortable. Location good - plenty of pubs! I have just returned from a 3 night stay at Cliff House. I don't normally write reviews but felt compelled this time! I’ve been on big group weekends away in the Peak District many times but nothing comes close to this experience. The location is really quite unbelievable. The views from the top floors of the property are breathtaking as if you are looking at real life postcards. The property itself is huge with so many rooms and corridors it is quite easy to get lost! The fixtures and fittings in the bathrooms are the same standard as a 5* hotel and the kitchen is a marvel. A real joy to cook in for a large group. The local pubs are great too and 4 are really close. We particularly loved the Packhorse who now in homage to our visit have added a cocktail repertoire! Our group of 18 had such a good time and we were all appreciative of all the additional effort the owner, Justin, put in to may us all feel extremely welcome. I don’t think there will be anywhere else on the shortlist for the 2013 university reunion. The Royal Oak, Hurdlow Tel: 01298 83288 - Our award winning pub offers open fires, hidden corners, local ales and of course ‘great homemade pub food’ as it should be. We can happily cater for groups. Please call to make a reservation or just pop in. The Bull, Ashford in the Water - Traditional Robinsons small character pub serving great food in a lovely Derbyshire village with the River Wye flowing through the heart of it. Just down the road in the next village towards Bakewell. Lovely cosy fire in the winter months. The Red Lion, Litton - Nestled on the green in the picturesque village of Litton, The Red Lion is one of a very few unspoilt traditional Peak District pubs. This historic inn combines character & quality in a way that is rare in modern pubs. Devonshire Arms, Beeley- Set on the Chatsworth Estate, The Devonshire Arms is one of those picturesque country inns at the heart of village life. It offers the charm and character of an historic inn with a contemporary twist! The Brasserie is modern, bright and relaxing while the Inn is cosy and inviting. The Barrel Inn, Bretton - Charming traditional pub with amazing views across the Peak District. Rajas Indian Restaurant - A great Indian restaurant located in the Bridge House just on the edge of the famous Bakewell Bridge. They also do take-aways. The Merchants Yard- Tideswell - Great Spacious Restaurant for small or large groups, serving amazing cocktails should you just want to stop and have a drink. Fabulous choice of daytime menu and Sunday Roasts. The Upstairs Café, Bakewell - A nice child –friendly café located in the centre of Bakewell. The Pizza Merchant - Take away pizza with free delivery within 10 minutes of Tideswell. With the Monsal Trial literally on your door step it would be rude not to take the opportunity to cycle/walk along this old Midland Railway line which runs from Bakewell right up to Blackwell Mill, in Chee Dale. The trail offers 8.5 miles of traffic free and mud free cycling/walking and with the recently reopened tunnels offers one of the most spectacular leisure routes in Britain for cycling, walking and horse riding. The nearest cycle hire is at Hassop station which is great place to stop for a bite to eat or for a coffee and nice piece of homemade cake! There is also a lovely little gift shop and book shop and a children’s play area. If walking it also worth leaving the trail and dropping down in to Monsal Dale itself to enjoy walking along down by the river. Games room is located in the cottage on site a few metres from the main house with Pool table and sofa area. Note that bedroom 7 & 9 are on second floor with use of the first floor shared bathroom alternatively they can share the en suites of room 8 or 10. Double oven with 5 hobs, 1 grill and 1 warming zone. Large oil drum BBQ – available for use from 01st April through to 31st October- please supply your own charcoal and lighting equipment. Private sunken lawned garden with amazing views and patio with children’s play house. Noise Policy - due to the quiet rural location, late night noise must be confined to inside the building by 10pm. Neighbours are in close proximity. For ease, lots of our guests organise a pre-ordered shopping delivery. You are very welcome to organise this however, please do make sure you have arranged the delivery time slot to arrive after you have checked in, as we are unable to accept it on your behalf (as the property is let as exclusive use there are no Peak Venues staff on site). Alternative Supermarket Style Delivery that Supports Local Producers - Sauced Here.